Getting to take a bath is like finding the Holy Grail. Well, wait. I guess that’s not entirely true. I can take a bath, but it is not leisurely. The water is cold since the kids used all the hot water for their baths, and there is a revolving door of children coming in and out of the bathroom in need of something. The decadent bath experience is the Holy Grail. This fantasy bath consists of a large tub where all your body parts are perfectly submerged in the perfect temperature water. Your favorite music is playing softly, your favorite scents are wafting up from the water, and you get to sip on your favorite glass of wine. For me to get to take this kind of bath, the stars would need to align and a genie would need to grant me a wish. At least I can have one of those elements for my quickie baths. 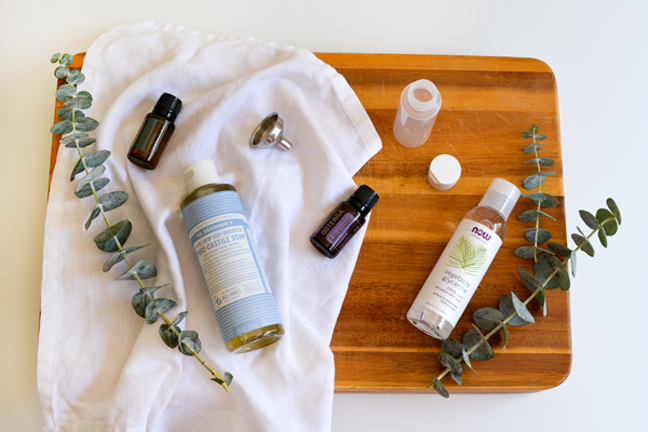 Homemade bubble bath with essential oils is a great way to unwind after a long day, and it’s also great for the kids. This lavender blend is a great pre-bedtime tactic for helping kids fall asleep easier. What I love about this recipe is that you can create the perfect blend based on what mood you are trying to achieve. 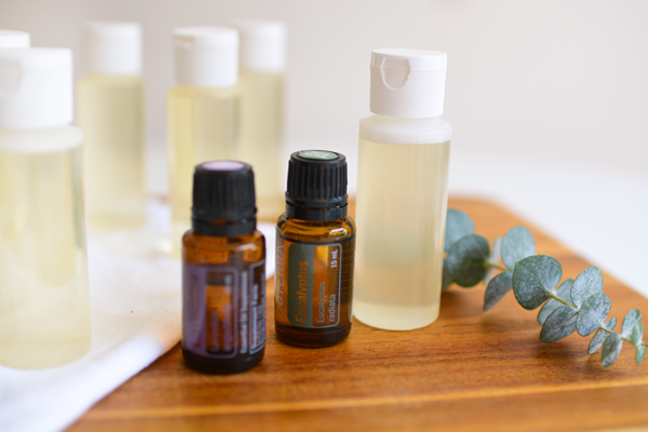 Essential oils are said to help with all kinds of ailments, although I use them mostly to make the room smell amazing through a diffuser or room spray. Adding them to your bath is a simple way to make your “me time” a little more special. This homemade bubble bath also perfect for kids pre-bedtime, as the lavender scent is calming and soothing. 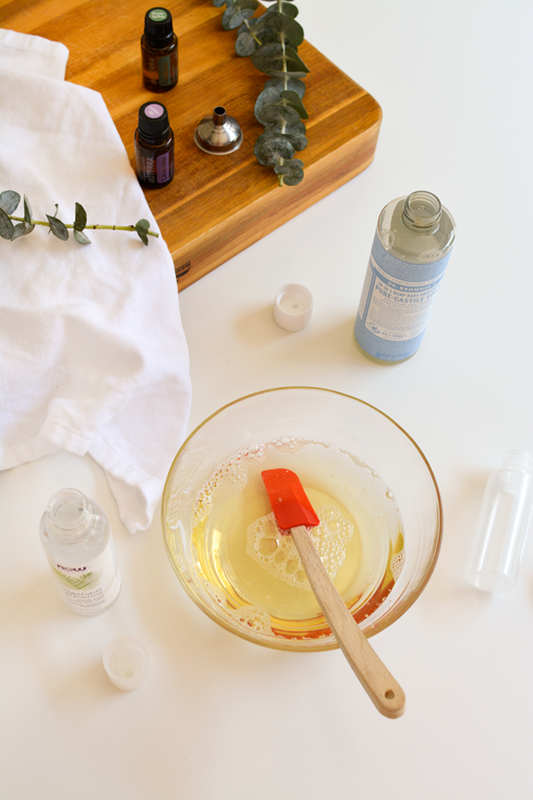 To make this homemade bubble bath you need just two ingredients and your favorite essential oils. 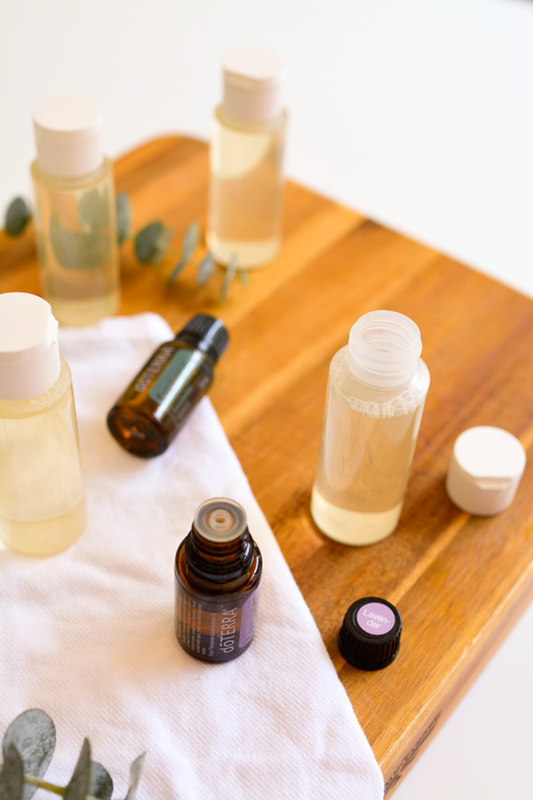 *IMPORTANT NOTE: There are certain oils that you shouldn’t use in the bath because of the sensitive nature of your lady parts and other mucus membranes. These oils include bay, clove, cinnamon bark or leaf, peppermint, lemongrass, and thyme. I already had the essential oils, but I purchased all the other items from Amazon. My local health-conscious grocery store also carries these items, so you may be able to find them locally, too, if you don’t want to wait to have these items delivered. 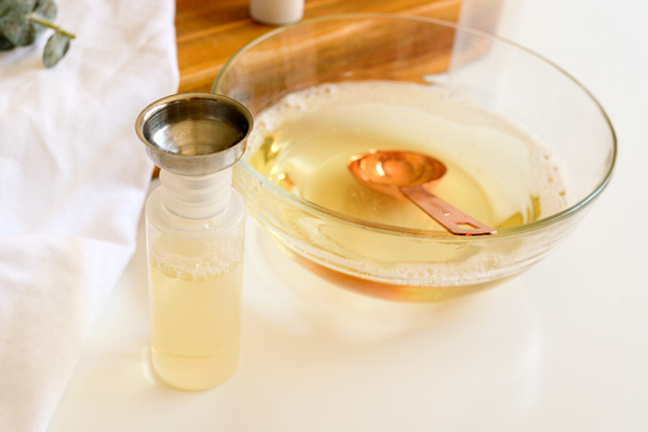 Step 1: In a bowl, add the whole bottle (eight ounces) of castile soap, the whole bottle (four ounces) of the vegetable glycerin, and two tablespoons of water. Mix well. Step 2: Use a measuring spoon and the small funnel to easily fill the bottles. This recipe filled six two-ounce bottles perfectly. Step 3: Add approximately fifteen drops of essential oil and shake well. For the first batch I used a mix of lavender and eucalyptus oils. 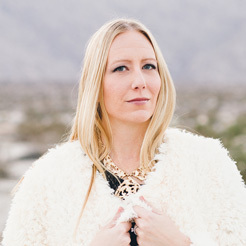 This blend is said to be calming and relaxing, which every mom can use. For another batch I used some orange, frankincense, and rosemary. And for the kids I made one with just lavender. 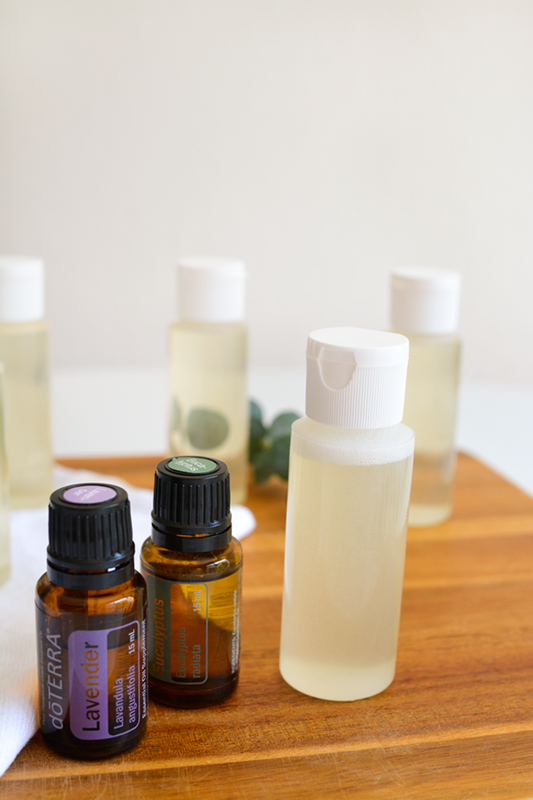 You can purchase one large bottle and make a big batch of bubble bath, but I wanted to make smaller bottles with different essential oils. The smaller bottles also make it really easy to turn this bubble bath into gifts to share with friends and family. Keep in mind that because of the natural ingredients this bubble bath will not produce big fluffy bubbles but more of a foam.